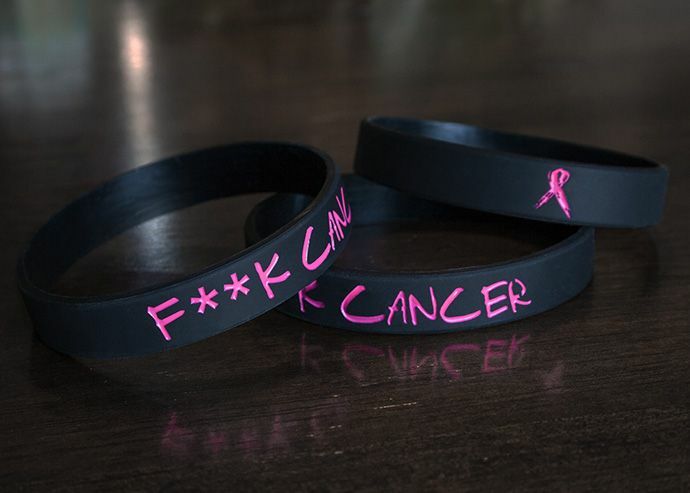 This month is Breast Cancer Awareness Month, and to mark the occasion we're putting up these new "F**k Cancer" wristbands for order today which we'll be selling to benefit charity. The wristbands will be $5, and profits will be donated from every sale to the Avon Walk for Breast Cancer Charity. We'll update the merch page for this item occasionally to indicate how much we've raised so far. If you're interested, we also invite you to check out the F**k Cancer T-shirts. We've raised over $700 so far with those for the Avon Walk charity. You should also check out Mike DIrnt's merchandise to benefit the Avon Walk Charity with KCUF Cancer Shop.